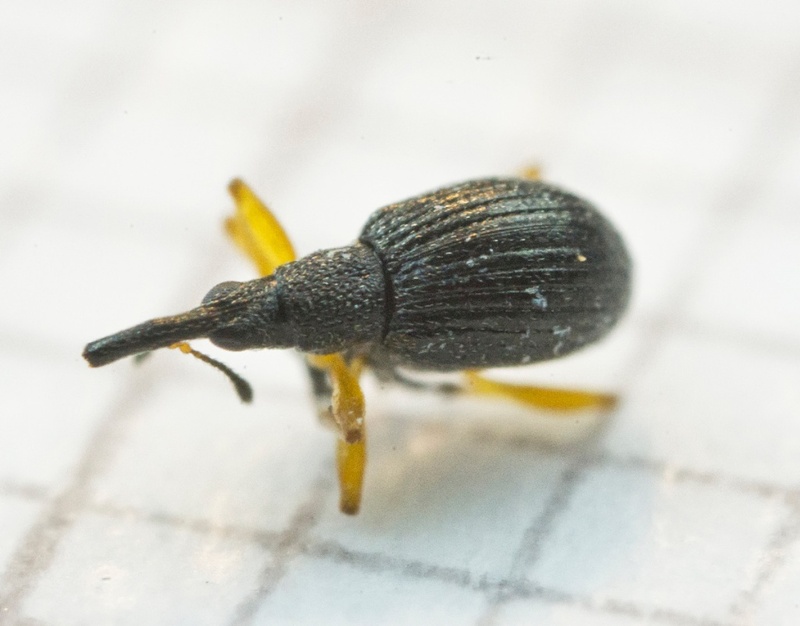 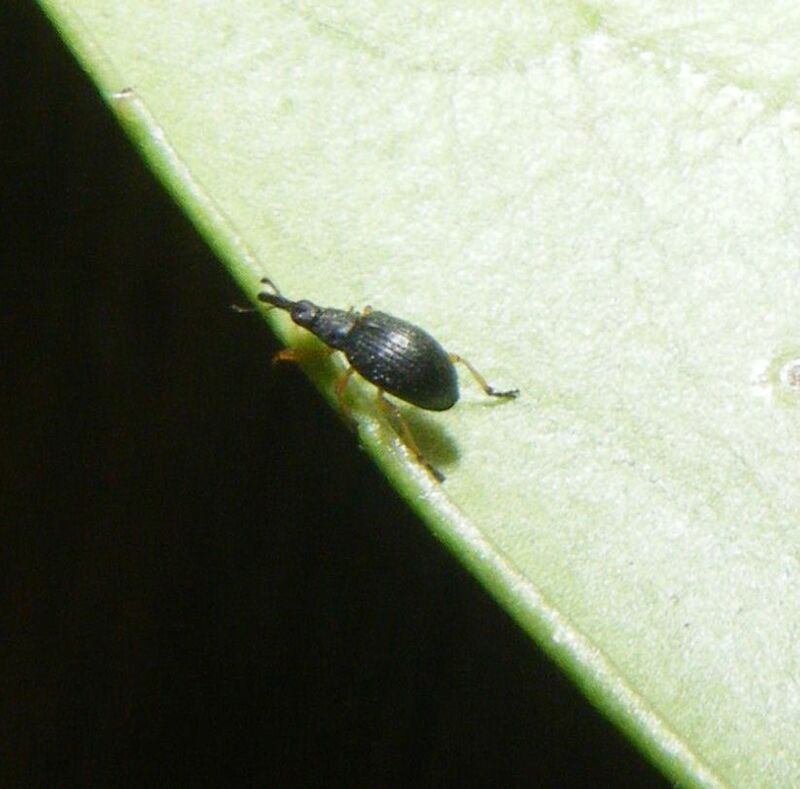 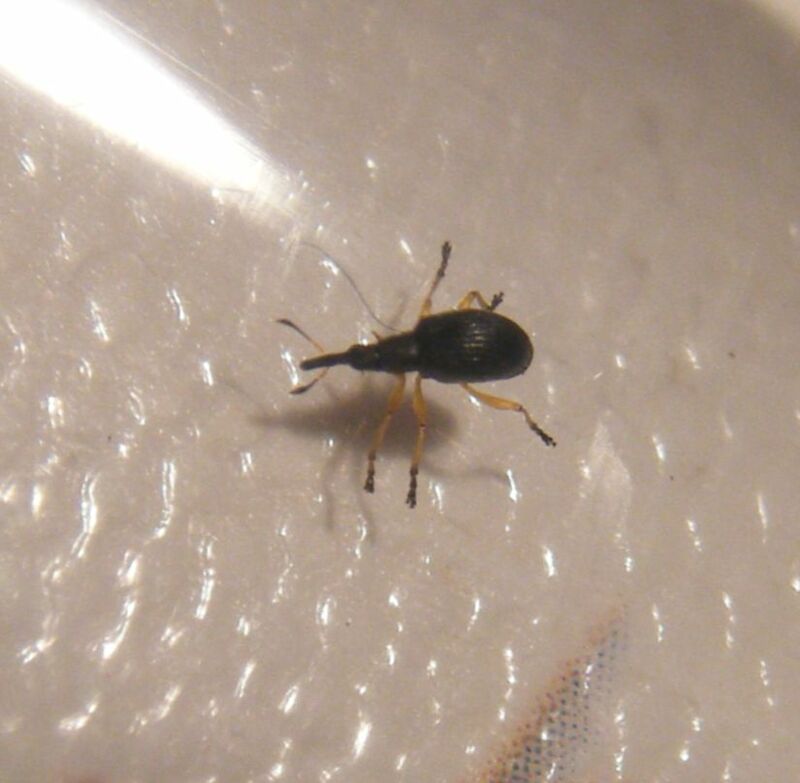 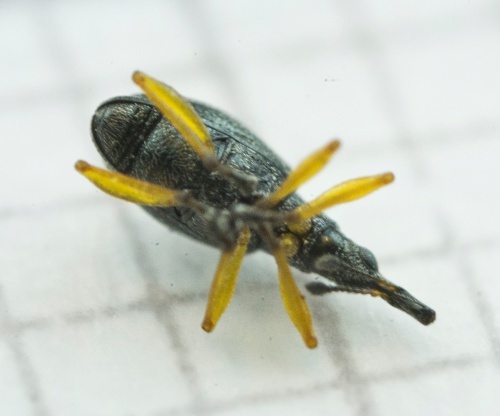 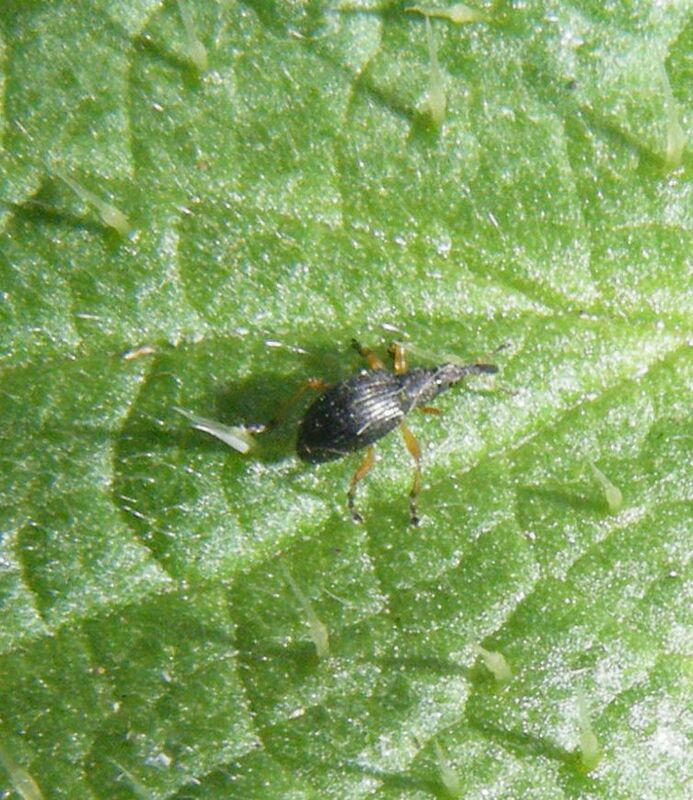 This is a very small (1.5 to 2 mm) weevil. It is distinctive, shining dark grey to black, the surface looks like gunmetal. Very convex and slender, with long legs, especially the front pair. 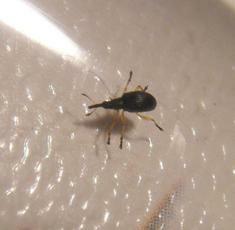 Rostrum long and cylindrical with antennae inserted midway (male) or behind middle (female). The legs are mainly yellow except the tarsi (feet) which are black. 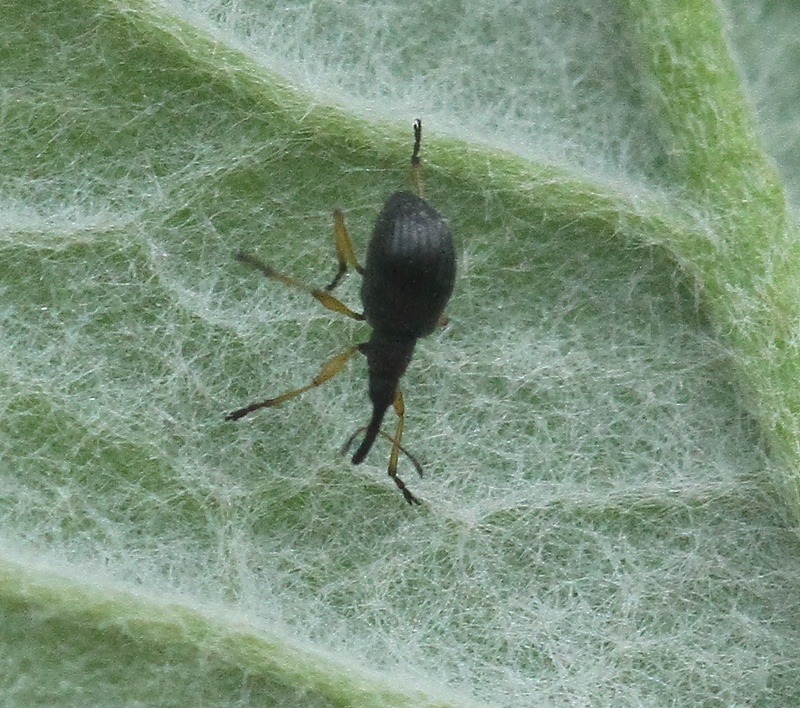 The lower parts of the antennae are also yellow in colour. 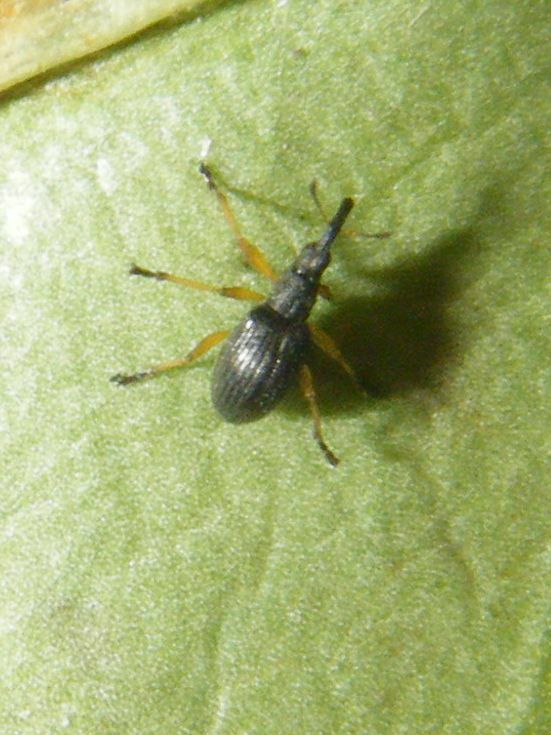 The elytra are studded in rows. 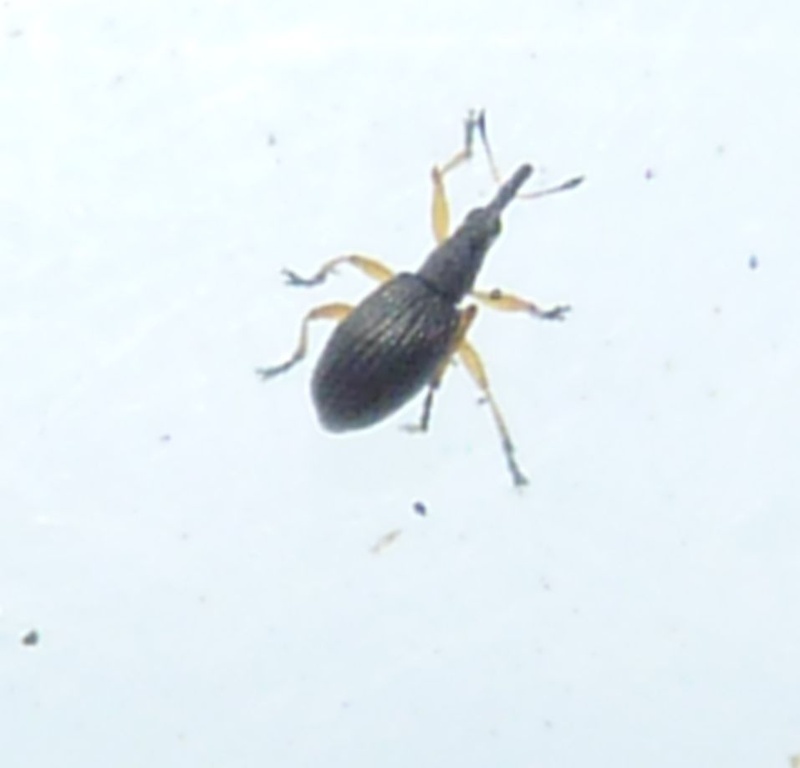 Associated with clover, but found in almost any well vegetated environment. 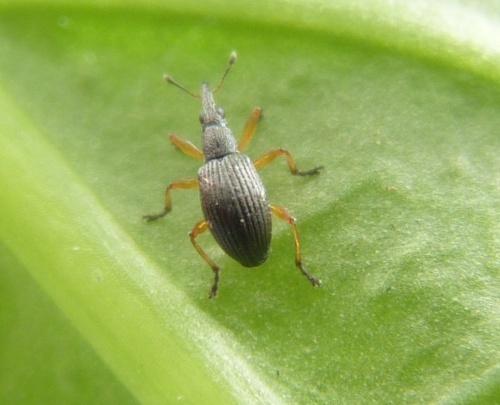 Larvae feed in the flower heads of clover. 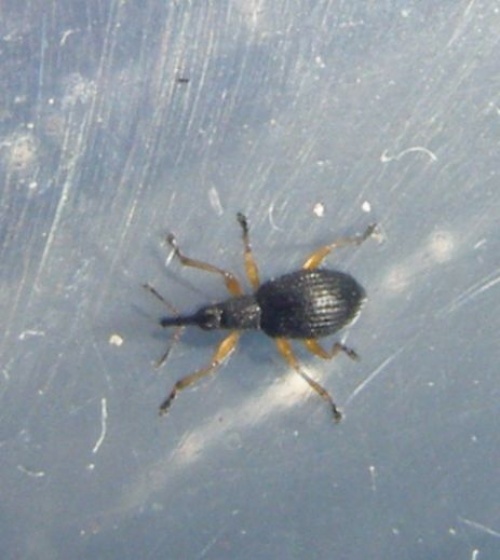 This is our most common and widespread species of Apionidae, being found throughout the British Isles including the Scottish islands. Common in Leicestershire and Rutland. There were a total of 70 VC55 records for this species up to March 2015.